DesignRush’s internal team of experienced marketing professionals worked together to examine hundreds of digital agencies across the world. The team analyzed pricing structure, agency leadership, client services, previous experience, testimonials and more to determine the top 25 digital marketing agencies. "When brands stay ahead of emerging trends, they also stay ahead of their competition and attract consumers,” said Gabriel Shaoolian, Founder and Executive Director of DesignRush. 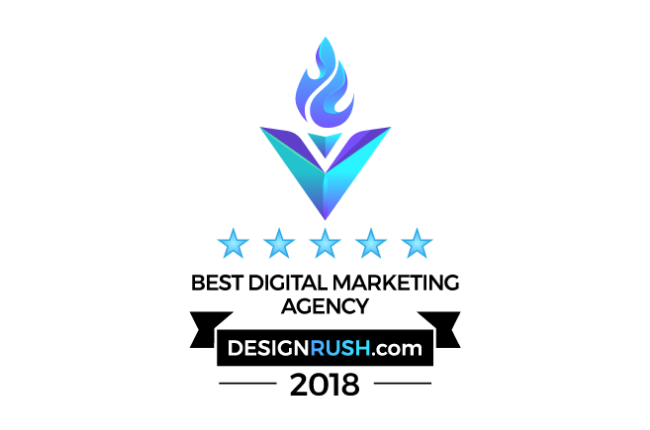 “I can’t tell you how excited I am that SyncShow is recognized as a top digital marketing agency on DesignRush. A huge thank you to our amazing clients, hard-working team and the community and organizations that help support us,” said Chris Peer, CEO of SyncShow. “We're appreciative and honored to be recognized by DesignRush. Recognition like this only comes based on the success our clients realize through our partnership, and it fuels us to continually improve and help our clients grow their businesses,” said Mike McDonald, EVP of Sales & Marketing at SyncShow. Thank you, DesignRush, for this recognition. View the full list of Top 25 Digital Marketing Agencies, here.